While I was still in Cardiff I was walking through St David’s shopping centre when I was stopped by a woman working for the Model’s Own brand. She was outside a pop up shop that was the shape of a nail varnish bottle (which I thought was pretty cool). It being the end of the year I thought I could have a look at some of their stuff as I didn’t mind spending some money. They give you a free gift when you look around which is this 4 sided nail buffer. I haven’t used one of these since I was about thirteen! But I did like how shiny my nails looked after using it. Everything they were selling was five pounds, including the things that weren’t nail varnish. 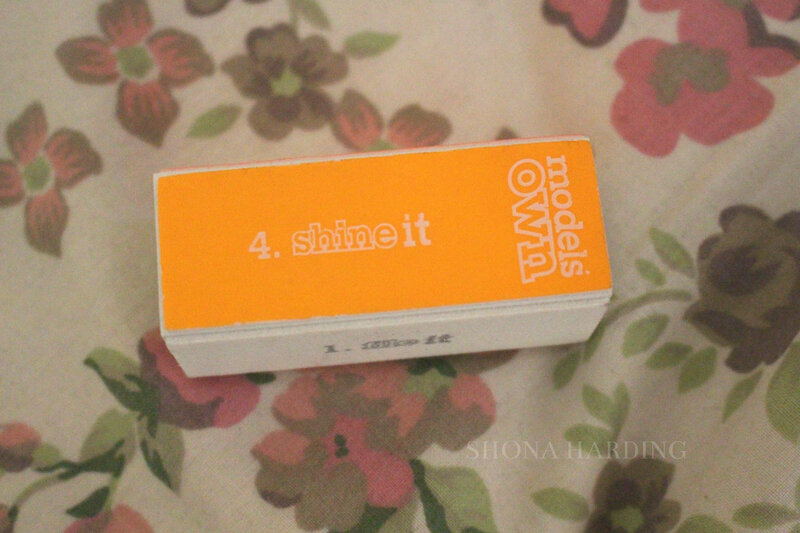 The first one I picked up is called Peach Melba and is a nice little peachy coloured nail varnish. Wearing this colour I know it’ll look better once I have a tan, but, this nail varnish has a secret. It is scented! 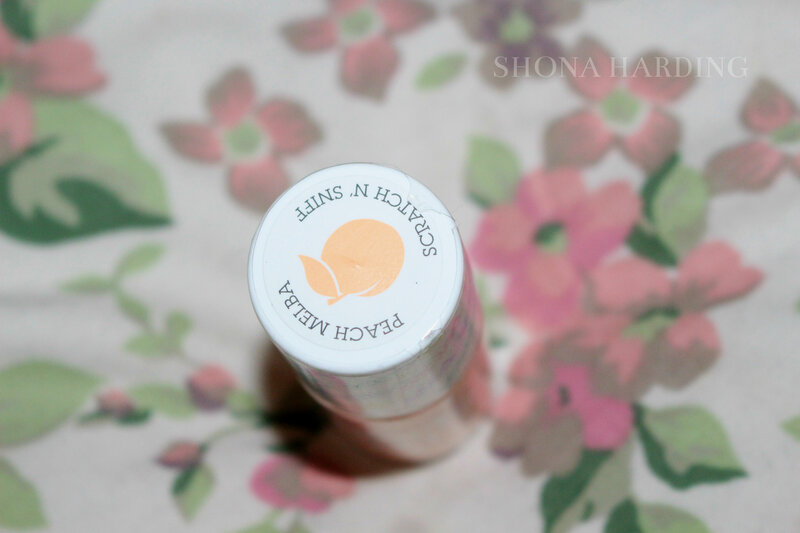 When applied it smells of peaches and I was told it is supposed to last a couple of days! Never would have thought of making a nail varnish scented. The next one I picked up was Mint Icing and I love it! It is a beautiful mint colour which is quite bold and bright. I’d definitely wear it during the summer months and maybe even into autumn. 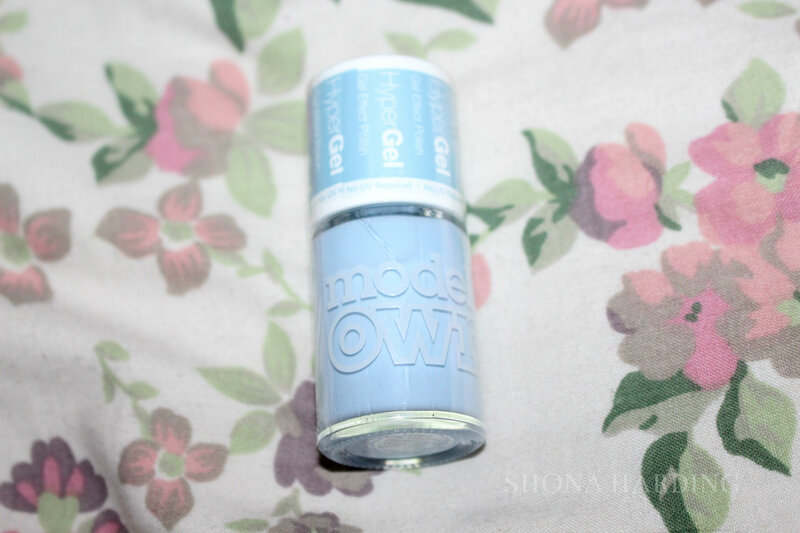 The last nail varnish I picked up was the hypergel Powder Blue nail varnish. This is called a hypergel as it acts like a gel nail polish you would get at a proper nail salon. I absolutely love this nail varnish because it is a beautiful blue/lilac colour and is very muted so not over bearing. I can imagine wearing this on a day out in the city or even in the countryside, it is so versatile. Due to it also being a hypergel it always has a nice, shiny top to it. Because the offer was five pounds each or five items for twenty pounds I also picked up two non nail polish items. The first was these eye lash curlers that I have been wanting to buy for a long time but haven’t got around to doing. These are really nice, I like how they’re pink being a girly girl but they are also soft on my eye lashes. 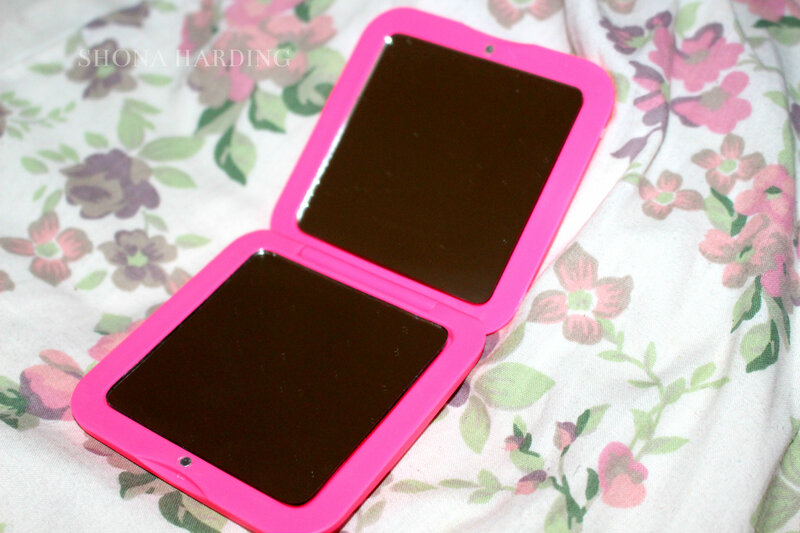 I also picked up this compact mirror because I needed one for my makeup bag, and, again it’s pink. This is a really good mirror with both a normal mirror and a magnified one. It also fits easily into my bag but is big enough it won’t get lost in the bottom! What are your favourite nail varnishes? I usually go for Barry M but I think it’s always good to switch it up from time to time. Great Review! I quite like Models Own, cheap stuff good quality. love the colours you got! the hyper gel ones look great, i must get one of those next time!